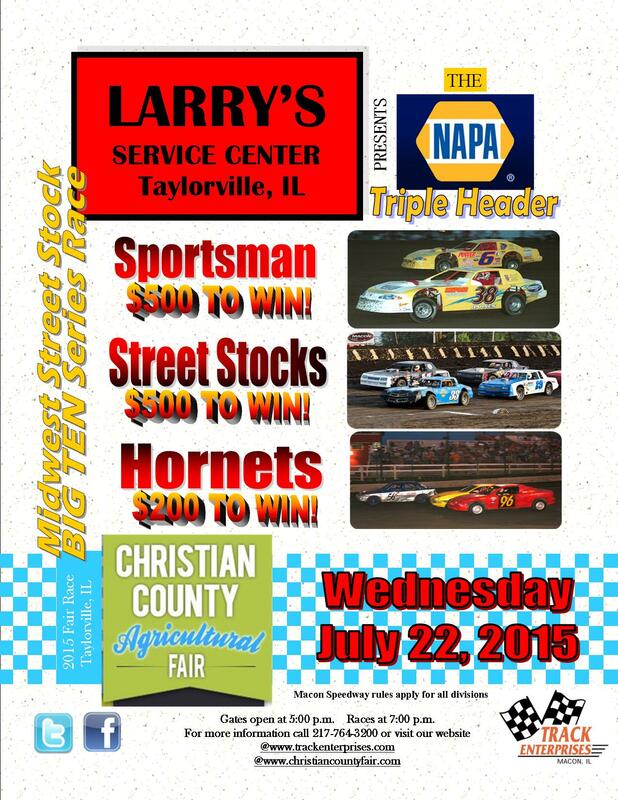 Christian County Fair is located at 1716 W. Spresser St., Taylorville, IL 62568. Directions: Route 48 South to E. Main Cross St. Turn right. Take the 2nd right onto E. Park St./IL-29. E. Park St./IL-29 become W. Spresser St. 1716 W. Spresser St. is on the left.